At Florida National University (FNU), our goal as educators is to support all students academically and socially as well as to ensure that their academic goals are met. To that end, we have instituted numerous projects and programs to reach out to the community. As indicated by our mission statement, “The purpose of Florida National University is to contribute to the education of a population of diverse, presently predominantly Hispanic, cultures. The University realizes this mission through the employment and development of a faculty of scholars who are proficient in the art of teaching. The University strives to prepare the students for employment in their chosen career or advanced studies through the acquisition of the required skills and knowledge needed for the successful completion of the program of studies. As part of its demonstrated commitment to community engagement and advancement, FNU is actively taking part in the 21st Century Community Learning Centers (CCLC). These centers are a project of the United States Department of Education and fall under the purview of the Academic Improvement and Teacher Quality Programs. The 21st Century Community Learning Center project aims for the nationwide creation of community learning centers that provide academic enrichment opportunities during non-school hours for children, particularly students who attend high-poverty and low-performing schools or community-based programs such as YMCAs and YWCAs. The program helps students meet state and local student standards in core academic subjects, such as reading and math; offers students a broad array of enrichment activities that can complement their regular academic programs; and offers literacy and other educational services to the families of participating children. We at Florida National University (FNU) are proud to be a part of this distinguished national program, which builds community bonds as it enables young people to reach their potential at primary, secondary, and university levels and beyond. We believe that programs like these are instrumental to building the communities of the future, in which all young people can benefit from the educational opportunities that are available and achieve their greatest potential as individuals, scholars, professionals, and members of the community. 1. What are 21st Century Community Learning Centers? The 21st Century Community Learning Centers provide educational afterschool services for students attending high-poverty, low-performing K-12 schools or community-based programs such as YMCAs. The focus of the program is for students to meet or exceed local and state standards in subjects including reading and math through expanded tutorial services and academic enrichment opportunities. 2. 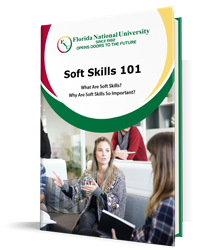 Where are the 21st Century Community Learning Centers affiliated with Florida National University? FNU conducts two 21st Century Community Learning Centers, both in Hialeah, Florida. One is located at Hialeah Senior High School and the other is at Westland Hialeah Senior High School. 3. What are the Benefits and Who are the Beneficiaries? 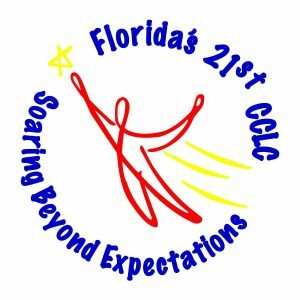 The 21st Century Community Learning Centers program is aimed at increasing civic engagement and community service through the provision of academic and social assistance to at-risk students who attend high-poverty and low-performing schools. Concretely speaking, such programs help students meet state and local student standards in core academic subjects such as reading and math, offer students a broad array of enrichment activities that can complement their regular academic programs, and offers literacy and other educational services to the families of participating children. On the whole, such programs aim towards a future in which no children fall through the cracks of traditional education. This holistic approach toward educating and socializing young people creates a society that allows children to reach their full potential and become full-fledged participatory adults who positively contribute to their communities and to society at large. 4. Who Can Attend 21st Century Community Learning Centers? The 21st Century Community Learning Centers cater to young people from kindergarten through twelfth grade. The initiative is a key component of the “No Child Left Behind” Act signed in 2001 by President George W. Bush. The centers represent an opportunity for children to enhance and reinforce academic lessons of the regular school day, while also allowing them to learn new skills and discover new opportunities after the regular school day has ended. 5. How Does a Student Apply for Participation? What are the Criteria for Joining? In general, youth who attend typically low-performing, at-risk, or high-poverty schools are eligible. The Students and Parents Handbook and the Application Package are available at https://www.fnu.edu/21-cclc/. For more specific requirements and participation information, simply contact a program coordinator (see link provided or further below for contact information). 6. How Can the 21st Century Community Learning Centers Help Young People? The various learning centers provide opportunities for academic enrichment, including providing tutorial services to help students, particularly students who attend low-performing schools, to meet state and local student academic achievement standards in core academic subjects, such as reading and mathematics. The various projects offer students a broad array of additional services, programs, and activities, which can include youth development activities; drug and violence prevention programs; counseling programs; art, music, and recreation programs; technology education programs; and character education programs. Some projects further offer families of students served by community learning centers opportunities for literacy and related educational development. All Community Learning Center programs are designed to reinforce and complement the regular academic program of participating students. 7. When is the Program Available? The FNU-affiliated Community Learning Centers are available from Monday through Thursday, from 2:45 to 5:45 pm. The program also runs during the summer session, from June 10 until June 28, from 9:00 am to 1:00 pm. Program Director Mr. Henry Fernandez can be reached at hfernandez@fnu.edu. In addition, each site has its own Program Coordinator, who will be happy to answer any questions you may have. For Hialeah High, contact Program Coordinator Mrs. Heydi Fernandez-Ruiz at fernandezh@fnu.edu. For Westland Hialeah, contact Program Coordinator Mrs. Irledia Martinez at irismartinez@dadeschools.net.